What can the world cup teach us about the practice of landscape design and project implementation? 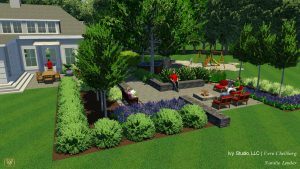 Our team at IVY Studio, a landscape design and build firm based in the greater Boston area specializes in designing and creating beautiful outdoor spaces. Our strategic three phase process of planning, designing and implementing your outdoor oasis has as its foundation a well organized and disciplined team work where all the parts are coached by a seasoned Principal.Our team includes hand selected artisans and professional project management with a winning goal of delighting our clients. Contact us at 781-591-0300 or vern@ivystudioMA.com to learn how our team can work with you and score that winning goal in creating and building an expanded outdoor environment that is worthy of a cup title!